The All Clean+ Citrus Based All Purpose Super Cleaner is designed to clean away dirt, grime and stains from any surface. 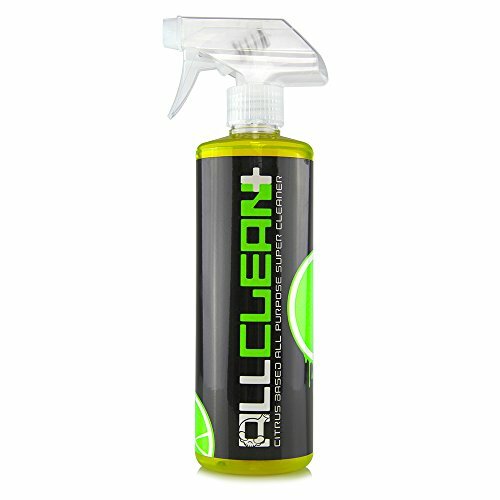 All Clean+ is a citrus based all purpose super cleaner designed to easily and effectively remove dirt from fabric, carpet, upholstery, vinyl and leather. All Clean+ works to recondition and restore materials back to their original like new qualities. All Clean+ is a surfactant based cleaner that contains wetting agents that produce a superior foaming action that is strong enough to lift dirt and grime directly out of floor mats, but gentle enough to safely clean plastics and vinyl. Just one gallon of All Clean+ makes up to 12 gallons of cleaner. For light cleaning, mix 10 parts water to 1 part cleaner. For heavy duty cleaning mix 4 parts water to 1 part cleaner.